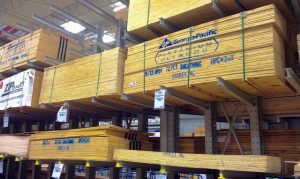 Plywood comes in a large variety of grades and sizes. RTD plywood is the next generation of plywood used in the construction industry. The ½ inch variety is used more often than any other size. It is manufactured at a higher quality and suffers less from delamination then other varieties of plywood used for the same purpose. In order to understand exactly what RTD plywood is, and what it is used for, it is important to understand how plywood is graded, as well as how it is made. When someone goes to purchase plywood they will often see letter designations concerning the grade of the product. These are often seen as N, A, B, C, and D. These grades are based upon the quality of that particular side of the plywood. N is the highest grade with the fewest possible defects and D is the lowest grade with the most allowable defects. For example, grade N plywood will be sanded very well and the blemishes will be practically nonexistent. Grade D plywood, on the other hand, will have the maximum allowable blemishes, such as knots. A-A grade plywood is sanded with minimal defects on both surfaces. This type of plywood is often used on interiors, such as kitchen counters. On the other hand, C-D grade plywood is what would be used in construction projects for the exterior walls of buildings. This would later be covered with siding. So know that we know how plywood is graded, how is it made? Plywood is made by gluing together smaller pieces of wood. Prior to the wood pieces being bonded together, they are soaked for up to 40 hours. This is done in order to soften the wood, which makes the pressing process go much smoother. In order to increase strength and minimize shrinkage, each layer is laid perpendicular to the previous layer. These layers are called Veneers. Plywood has a minimum of three veneers. The more veneers in a piece of plywood, the strong that it will be. This, along with the glue, is heated and pressed together to form a tight bond. The type of glue used is what actually dictates what the plywood will be used for. For example, CDX plywood is the most common plywood used in the construction world. RTD plywood is the next generation of this type of plywood. There is often a lot of confusion about this type of plywood and what it stands for. As we have already learned, the C and the D are referring to each side of the plywood, with the C side being slightly better in appearance and the D side is more structurally sound. But what does the X stand for? The X in CDX plywood refers to the type of glue that is used in the manufacturing process. In this case, the X stands for exposure. Often times, individuals become confused and believe this to stand for exterior. This is not the case. Exterior grade glue is higher quality and is much more moisture resistant. Exposure grade glue is used in cases where there might be rain or snow during the construction process. It should not be thought of as ”water-proof.” It should only be exposed to moisture for a short period of time. CDX plywood is referred to as Exposure 1 plywood due to the quality of glue utilized for bonding. Examples of its uses include, but are not limited to, tile underlay, walls, and roof sheathing. If it were to rain during the construction of a building, this CDX Plywood would be able to stand against the elements for a short period of time. However, it is not recommended for use in areas of high humidity or moisture. If a construction project is taking place in an area of high humidity, or the project will be exposed to moisture for long periods of time, it is recommended to use Marine plywood. The design and structure of this plywood makes it resistance to fungal damage and delamination caused by excessive moisture. Early it was mentioned that RTD plywood is the next generation of CDX plywood. But how is RTD plywood similar to and better than CDX Plywood? RTD Plywood is better because of the way it is created in a manner that limits delamination. Delamination is the separation of the individual pieces of wood in the plywood. This is most commonly caused by the use of too little or too much glue during the manufacturing process. It can also be caused if the layers of wood and glue were not heated to the proper temperature during the pressing process. RTD plywood is the answer to these issues. What Does RTD Stand For? Now, there are many people that believe that the same grading process applies to RTD Plywood and that the R the T and the D refer to the grading of the surfaces and the glue. This is not the case. The “RTD” in RTD Plywood is actually referring to the bonding process used during manufacturing. It actually stands for Resistance Temperature Detector. This is a device used during the manufacturing process that provides a highly accurate reading of the temperatures achieved during the bonding process. The increase in the accuracy of temperature readings has many benefits to the manufacturing process. By being able to read the temperature in real time, the bond between the layers of the wood and glue is much stronger. This means that the final product is stronger and is more resistant to moisture damage. 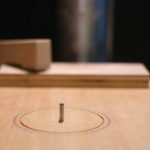 This means that the RTD Plywood is less likely to experience delamination than the other CDX Plywood that is bonded without the use of a resistance temperature detector. RTD and CDX plywood are essentially the same exposure 1 graded plywood, except for the superior manufacturing quality of the RTD plywood. This higher quality in the manufacturing process is what makes the RTD plywood a superior product to its CDX predecessor. This doesn’t mean that CDX plywood is faulty or bad, it simply means that RTD is a bit better as a final product.